Kawasaki Sportsbike Riders Club - Australia - Online Forum • View topic - Anyone recognise these? 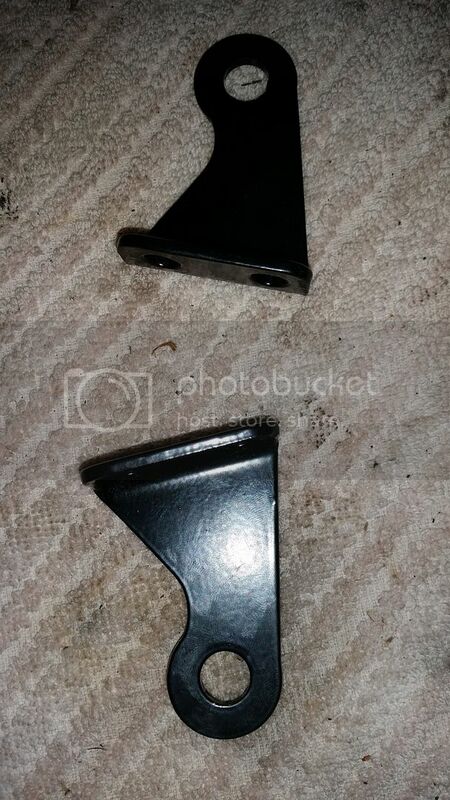 Just bolted the Z1r motor back in yesterday and found these brackets in the bag of engine mount stuff but don't remember them and can't see a place where they might belong. Does anyone recognise them or have I got some things mixed up along this journey? It's a not a stock part that I can recognize Ian...unless it has something to do with the OEM muffler. Thanks Dave. Looking at the parts list I can't see anything similar including the muffler fittings. Which I won't be using anyway! I will keep in a safe spot in case there is a future revelation! never seen anything like those mounts used on any Zed motor?